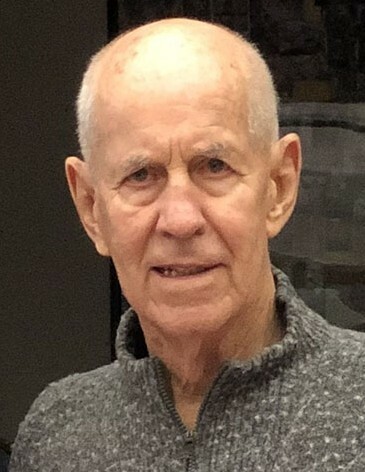 Otto Lee Anderson (87) passed away in his home surrounded by his family, on April 5, 2019. Otto was born February 2, 1932 to Varian “Chunky” Anderson and Ada May Johnson Anderson. He was the second son of 6 Children. Otto grew up in Wendover, Utah but spent a lot of his youth in Grantsville, Utah. He lived with his Aunt Helen there and was very active in High School athletics. He was the Quarter back on the football team and loved to throw the ball. He also played basketball, baseball, and ran track. Some of his hobbies were hunting with his dogs, shooting his 22, and he loved horses. He would go west of Wendover with friends and try to catch the wild mustangs to train and sell them for extra money. He also spent lots of time working at the family Ranch, located west of the Great Salt Lake. In 1951, dad joined the Navy and was enlisted for 4 years. He served in the Korean War on a submarine chaser and moved up three ranks to Seaman. He also received Medals for Good Conduct, a Korean Service Medal, and a United Nations Service Medal. After the war he was stationed in Hawaii before he was honorably discharged in Long Beach, California. After being on the water for 4 years, he didn’t care if he ever saw open water again. Shortly after, dad moved to Provo where he started school at the Technical College and met the love of his life. Connie Gabbott was attending BYU and he hitched a ride back to school with her and her roommate. He said he knew that very day he wanted to marry her, and they were married in the Salt Lake Temple, August 15, 1958. He got a degree from the Technical College as a Diesel Mechanic and started working for Strongs Company, building Highways all over Utah. He travelled wherever the job took him. He also worked for Geneva Steel as a heavy equipment mechanic. His bosses loved him because he wasn’t afraid to work and often took the hard jobs and extra shifts to help them out. As a young couple they moved to Springville, Utah and started their family. Gene was born March 11, 1960, Nadine - April 12, 1962, Gary - October 13, 1963, Brent - September 4, 1965, Barbara - June 7, 1967 and Russell - January 31, 1969. During this time Dad graduated from Salt Lake Barber College and was always available to cut his family and friends hair whenever they needed it. Connie wanted to be closer to her parents and sister, so they found 2 acres in Draper in 1969 and moved into a trailer Aunt Kaye bought, while Dad and Grandpa Gabbott built their home. He would go to work all day and then come home and work late into the night. He lived in this house and loved being there until the day he passed away. He also bought a farm in Grantsville, Utah that he later sold to supplement his retirement. Otto served in many church callings in the Church of Jesus Christ of Latter-day Saints. He was a Sunday School President, he served in a bishopric with Ken Roden, and he sent 5 of his kids out on missions. Once he and mom had both retired, they served at the Jordan River Temple and as missionaries in Stockton, California at the Bavarian Nut Factory. He worked to help fix and repair the equipment and helped them increase the productivity at the plant, while mom taught English to the migrant workers. Dad was proud of his family and loved to brag about them, the grandkids, and the great grandkids. He loved Connie and would always say how lucky he was to have her in his life, or that he didn’t know how he would live without her. He loved the family get togethers playing the guitars and singing. He taught his kids and grandkids to value work and how to save money. He would often say “put $83.33 away every month and you will be set!” He attended all the special occasions like; graduations, blessings, farewells, Birthday parties, and family get togethers. When mom died, it broke Dad’s heart and he only lasted 2½ months after she passed. It had to have been a great reunion when he saw his sweetheart again last Friday afternoon. We are grateful for our knowledge of the plan of Salvation, knowing they are together, and that we can be with them again someday. We will miss you Dad, and the things you have taught us will forever be in our hearts. We love you Dad! Otto is survived by his son Gene Anderson (Melonie), daughter Nadine Steinfeldt (Randall), son Gary Anderson (Walnetta), son Brent Anderson (Hollie), daughter Barbara James (Dan) and son, Russell Anderson (Mikalene), brother Roland Anderson (Mary June), brother Harry Anderson (Judy), sister Kathleen Tingey (Sherm), brother Lowell Anderson (Judy), sister Coreen Garner (Ron) and “adopted” children Connie and Craig Richins, who frequently took great care of Otto and Connie! 26 grandchildren, 19 great-grandchildren, and many nieces and nephews. Otto was preceded in death by his parents Varian Anderson, Ada May Johnson Anderson, his wife Constance Ann Gabbott Anderson and Grandson Justin Gerald Keith Grass. Otto will be missed for the love he showed his family and friends, his teasing remarks and the way his face lit up when he smiled! Our family would like to thank Laneia “Nini” Taunaholo for the tender, 24-hour care she provided. We would also like to thank Intermountain Hospice (Megan and Natalie) and Homecare (Bonnie) who helped with Dad’s care. A viewing will be held Thursday, April 11, 2019 from 6-8 pm at the LDS church building located at 1300 East and 13400 South, in Draper, Utah. Memorial services will be held Saturday, April 13, 2019. Located at the above address. Services will begin with a viewing from 9:30-10:30 am, with funeral services to follow directly after at 11 am. Interment, Murray City Cemetery, 5490 South Vine Street.